First things first, the rumours are true and I have to be frank (Swiss Frank) with you – Switzerland is expensive. Well Zurich, where I’ve spent the last 3 day, was. I’ve heard many times before about countries being ‘expensive’ including Australia, New Zealand and America. Honestly though, they’ve never shocked me, I guess because i’m already used to the likes of London prices. 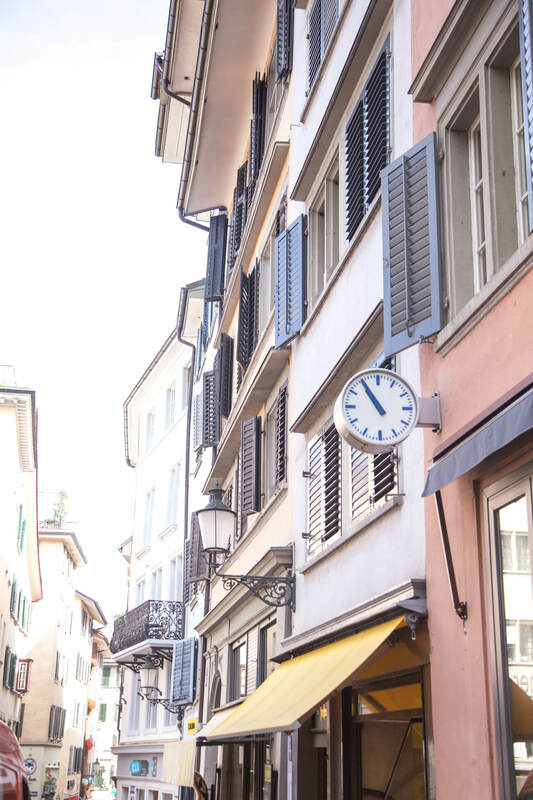 Switzerland however IS expensive, so it’s important to note that when planning your trip and make sure you save the extra pennies. Saying that, Zurich is stunning and the price wouldn’t put me off coming again. 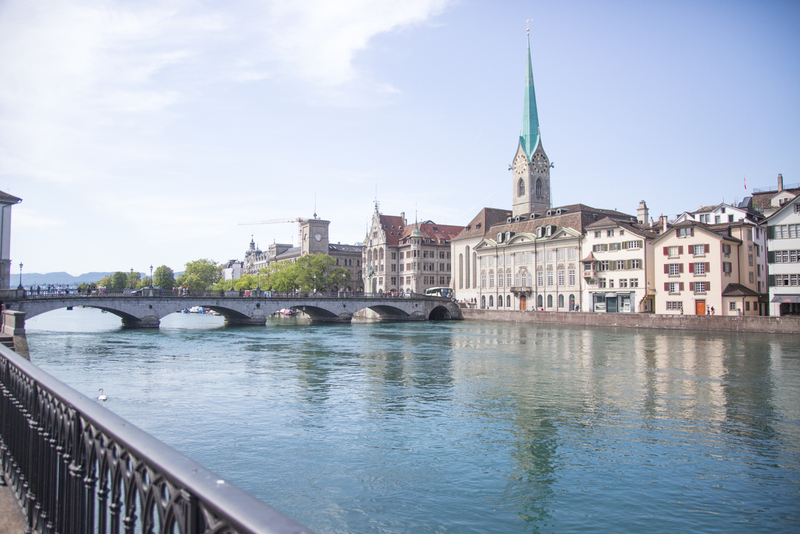 Zurich (the largest of the swiss cities) sits on Lake Zurich – the main selling point of this destination for me. I explored with my good friend Zanna (see her blog here) and we enjoyed a diverse weekend of lake jumping, mountain hiking, catherdral ascending and city mooching, all without venturing far from the city centre at all. More about the water… It is incredible. Lake Zurich is filled with the most gorgeous shade of turquise fresh water which is clear enough to see through, swim through and runs through the whole city. Yup, you’ll be witnessing people jumping in to cool off left right and centre and we did the exact same. Top tip: Keep your swimmers in your bag at all times. The moment you see someone plunging into this gatorade like water, you’ll want to do the same. 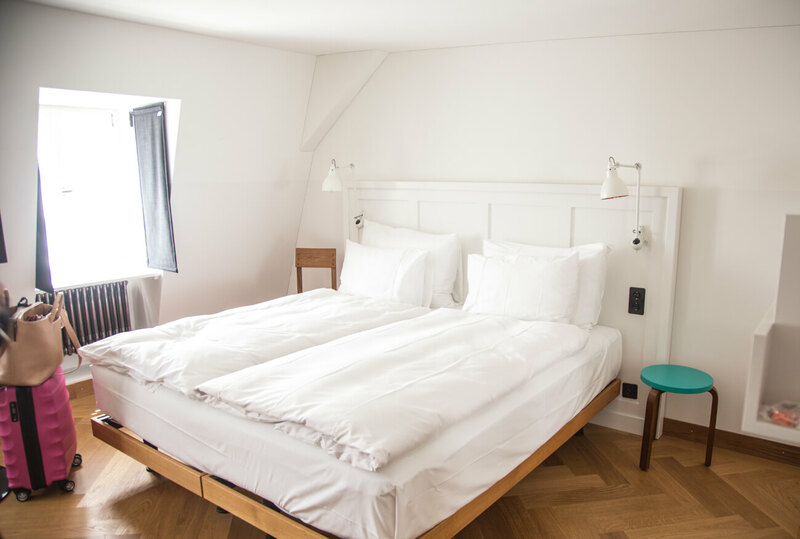 I stayed at the gorgeous Marktgasse boutique hotel during my stay which was located in the heart of the old town. The old town is.a gorgeous maze of cobbled streets, coloured shutter windows, shops and icecream stalls. It was a beautiful place to wake up and its central location never had us needing to walk long to reach any of our adventures. The breakfasts here and the marshmallow pillows and duvets were my highlights. Top tip: For the best warm, doughnutty, spiced cinnamon roll of your life, head to Delish (the cafe underneath the hotel where you have breakfast) and prepared to set your taste buds on FIRE. We went on a 7km route with City Runners who run free group runs 3 times a week! Need a break? Grab coffee and cake at Cupcake Emporium. I can vouch for the iced matcha latte, passionfruit and chocolate cupcake and the peanut butter vegan one too. Yep i had both. Cupcake Emporium is located in the Old town. Take this opportunity to go for a swim in one of the city lidos. There are many to choose from including a female only and male only (old traditions that have remained) one, but many unisex too. We swam at Seebad Utoquai and paid the day rate of 8SF for a day entry (entry, showers, lockers and bathing space). Baltho Kuche & Bar – the bang bang chicken starter is unreal. Hiltl – hands down the most incredible vegetarian selection i’ve ever seen. Top tip: Hiltl is one of those Wholefoods pay-by-weight places. It’s easy to get carried away and you will SERIOUSLY pay the price for it. Look around before piling your plate up and choose wisely. Save room for pudding! Hop on tram number 13 (yellow line) tram to the end of the line at Albisguetil and continue to walk up the hill until you get to the trees and you’ll see a map. This is where the hike starts. It’s a pretty intense walk and takes an hour to hike or 40 minutes if you deem yourself rather fit. At the top there’s a cafe and lots of places to sit and enjoy the view before heading back down. Afternoon: Time for an urban dip! Head for an urban dip in Lake Zurich at Flussbad Oberer Letten. You’ll see people jumping off the bridge and floating down the river on inflatables… join in! It’s safe to jump, the water is glorious and theres a decent current which will weave you down the river. There’s space for you to pitch up with a towel and enjoy the afternoon right by the water. A popular choice amongst locals! Tip: Check out the national museum and the gardens behind it as they are close! Hungry? Grab an acai bowl at Roots and Friends. Evening: Toast to the sunset and your trip! There are so many gorgeous waterfront bars to enjoy the last of the sunshine and the sunset glows from. A couple I noted that took my heart visually were Bauschänzli and Barfussbar. If you fancy a gym workout, i’ve head good things about Balboa, Atomic and Velocity. We also worked out in Migros Fitnesspark where they have a rooftop terrace and a Hammam (steam room) as well as a fully functional gym. 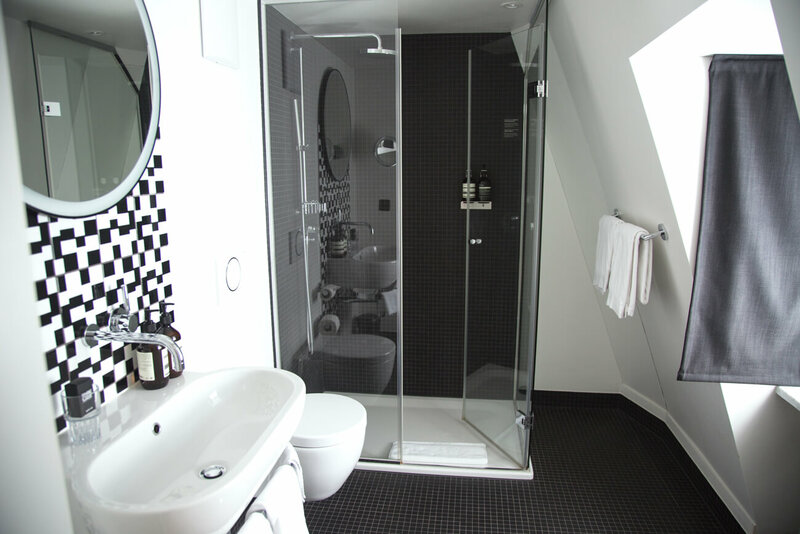 If you stay at Marktgasse boutique hotel entry to this gym is included in your stay! If you fancy a chilled one, perhaps grab a morning coffee along the water front in one of the many restaurants with outdoor seating. Sprungli chocolate shop – taste the unbelievable Swiss chocolate creations. Check out the university – seriously beautiful architecture with views over the city. Need a pick me up? Head for the yummiest coffee of your entire life at Vicafe. If you normally take sugar like me, you just won’t need it! It’s creamy, it’s strong and you can enjoy it on the cobbled steps just outside the shop. 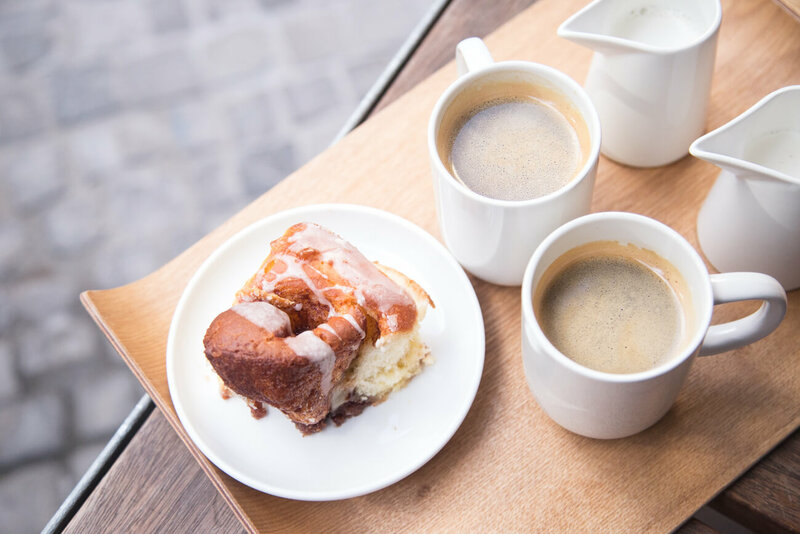 For the best warm, doughnutty, spiced cinnamon roll of your life, head to Delish (the cafe underneath the hotel where you have breakfast) and prepared to set your taste buds on FIRE. 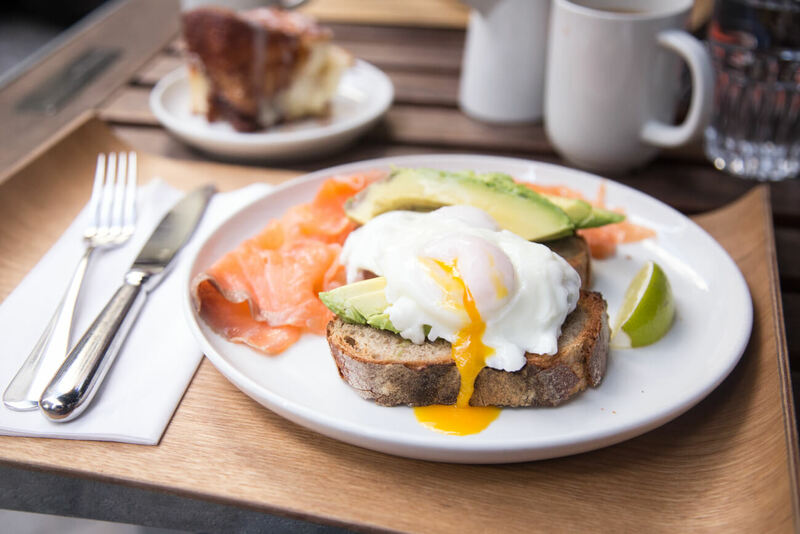 Beetnut – highly recommended plant based restaurant. Evening: Soak up the last of the city! Rent a stand up paddle board by the river and cruise along the clear blue waters to get a different perspective of the city. Pick up some Swiss chocolates from Sprüngli for friends and family, or yourself! Take the train to the Lindt factory. Need i say more. That’s 3 days of pure adventure and fresh city living. I can assure you you will soon fall in love with this city, be it the extensive access to active living, the incredible vegetarian and vegan cuisine on offer or the crystal blue waters that you cannot miss jumping into. I hope i’ve assisted you in planning your adventure! 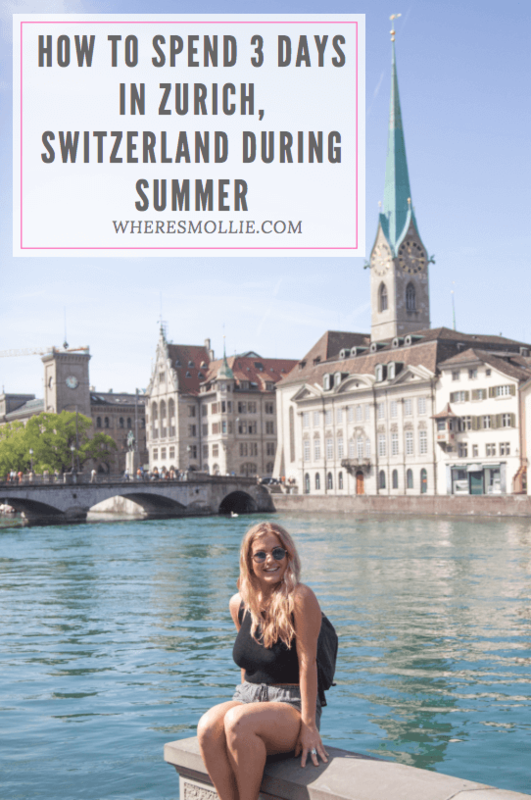 If you want to see my live updates from my trip, check out #MollieInSwitzerland on Instagram or head to @wheresmollie to see where i am now! 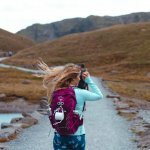 I hope this has inspired you to plan a Swiss adventure! 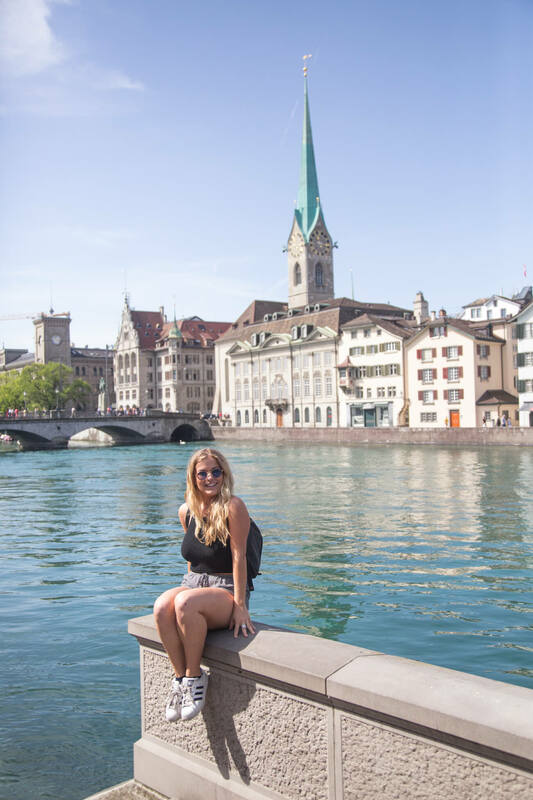 Have you ever been to Zurich?